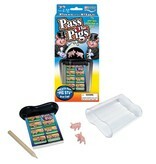 For 2 or more players go hog wild with the pig-tastic game, pass the pigs. 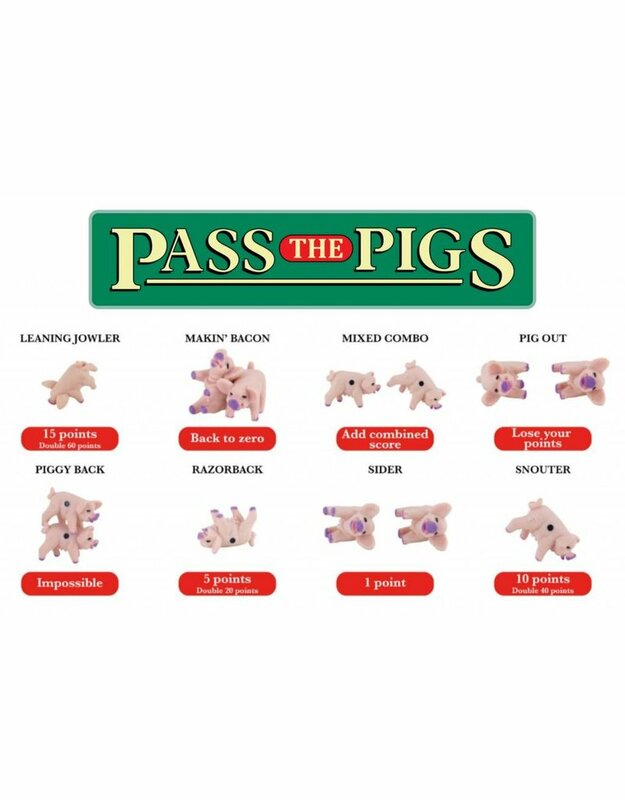 Players attempt to rack up points by rolling the Pig dice - but if they're not careful they might 'Pig out' And lose all their points. 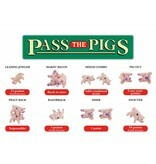 Pass the pigs is the Sizzling' Fun, shaken' Bacon game! 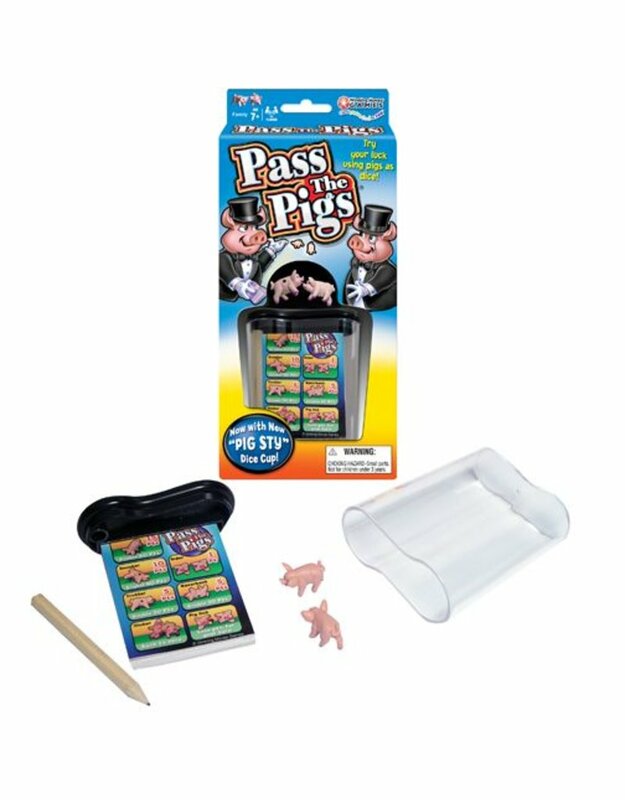 Pass the Pigs – Its’ fun, addictive and requires strategy, skill, and luck. Basically a dice game, with pigs that are weighted and have different values depending on how they land. 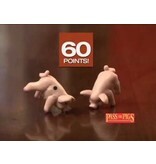 Each turn involves one player throwing two model pigs, each has a dot on one side. 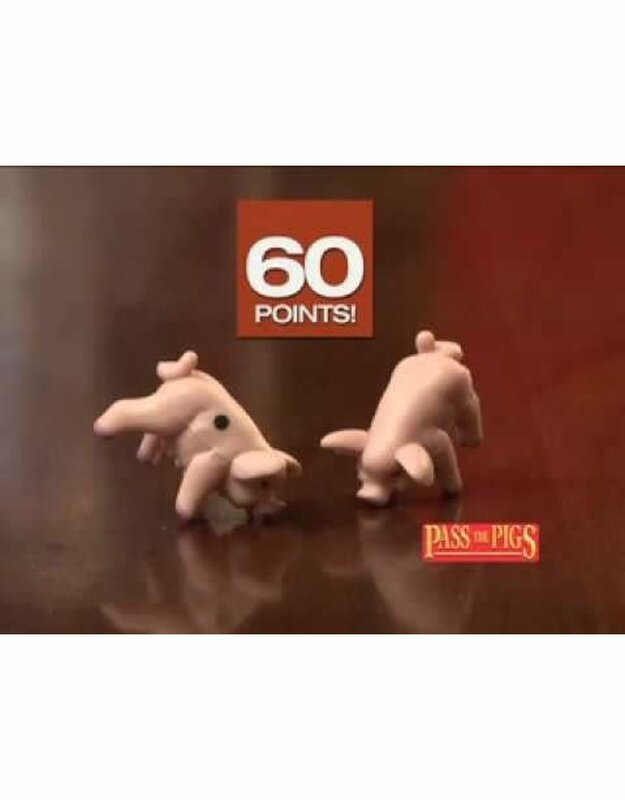 The player gains or loses points based on the way the pigs land.